Google is ready to try its hand at smartwatches with its "Android Wear" initiative. Partnering with manufacturers, chip makers, and fashion brands, Google (GOOG) is planning a full scale roll-out of smartwatches in the near future. Google built a version of its Android operating system specifically for watches, with the hope that it will achieve success similar to Android for smartphones. Conceptually, the Android Wear software looks like an extension of the software that Google built for Glass, Google's smart glasses released a year ago. Android Wear will deliver notifications to the watch without you having to dig around too much for them. It will also respond to voice commands. Both are things Google is already pretty good at. But Android Wear promises to take things one step further when it comes to contextual awareness: It won't just alert you to texts and emails or navigate you in the right direction, which some wearables already do. 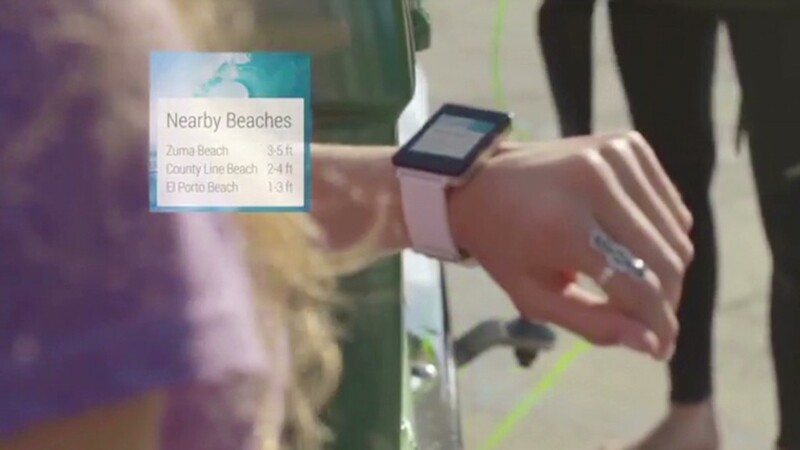 A conceptual video made by Google shows and Android Wear watch providing a woman with her airline boarding pass when she arrives at the gate and a jellyfish warning for surfers just before they get their boards out of a truck. Essentially, it will be Google Now -- Google's contextual information service -- on your wrist. This approach to software is a promising move for Google and for wearables in general. Also encouraging is that it seems like Google isn't trying to replicate smartphone features on a smaller device. Instead, Android Wear apps will identify the specific features that might work better on your wrist. One of the great pitfalls of Samsung's Galaxy Gear watch is how much tapping and swiping you had to do to even get the most basic information. If Android Wear can cut down on the amount we have to interact with our wearables, that could be a huge success story. Motorola announced Thursday that it will release a "Moto 360" smartwatch powered by Android Wear in the summer. Google also partnered with Asus, HTC, LG, Samsung, Intel (INTC), Qualcomm (QCOM) and Fossil (FOSL) among others to release smartwatches later this year. This initial wave of planned smartwatches is sticking to the traditional watch metaphor for wearable devices. Disappointingly, the watch concept isn't nearly as futuristic as its software counterpart. Traditional watches are pragmatic, though: They can be built and sold to the masses right now at an attainable price, and the average user will be more likely to want and understand a traditional watch than some sort of a display that curves around the wrist. Still, we'll still be wearing nerd-squares and circles on our wrists. Hopefully this is an aspect that evolves over time. It won't be until these devices hit store shelves that we'll see if Android Wear can overcome many of the problems maligning current smartwatches. But Google's head is clearly in the right place. At the very least, that's encouraging.